We got another situation at best age old question of where to go for that steamed chicken rice we recently talked about. I hated to do a similar cuisine post so close to each other, but I was done in by the request for that a better place for Hainan Chicken rice can be had locally near my work on the eastside. Since I did a post on Red Chicken which was a popular hang out among the nuevo cluck crowd that didn't want to go a high traffic dating place of Savoy that is down the street, I was recommended to try out Cluck2Go. The place they all have a hard on for the steamed chicken that I described in the Red Chicken post was a restaurant called "Man Chan". Not really a hidden gem as I remembered it fondly before and would recommended to people who stopped by here. However the good news was they decided to open up a scale down restaurant that focused only on their chicken dishes (steamed or fried) with a few sides. Hence, the Cluck2Go was conceived as Man Chan can be a full pledged Chinese restaurant with other rice dishes and different array of proteins than just poultry. This location was a bit of a curse as i can remembered. 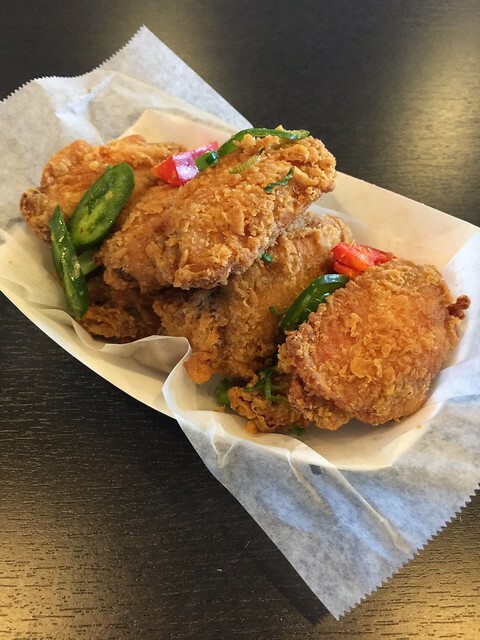 In the beginning of the decade was a Flame Boiler outlet that gave way to a Korean Fried chicken joint. Sadly I never went to the latter and go to the former because of my co-worker fascination as a fancy healthy meal. With this scale down version of the main flagship, Cluck2Go still maintained a fantastic juicy chicken that we come to expect for a good Hainan chicken that we all can craved. The minimalist vibe here gave it a Subway dining room kind of feel with a to-go mentality to match with it. I don't really know if this was a short term extension or maybe this place can catches on where they can expand like Green Zone (another chain that catered to the nuevo cluck crowd). It's worth the quick meal like Flame Boiler? , but yet served the chicken rice dish on the fly. 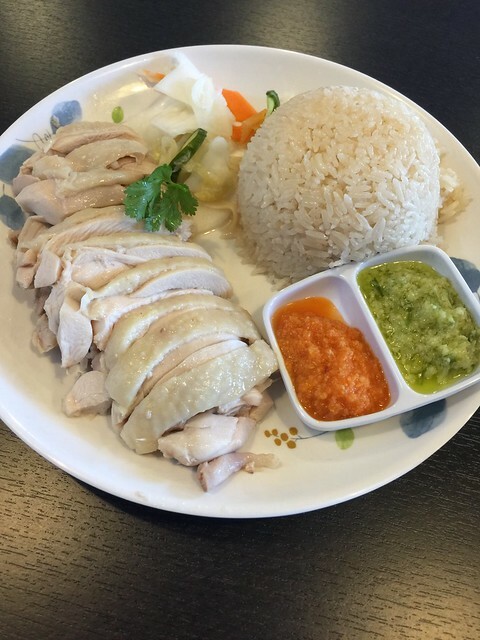 To answer that question, this is the best Hainan Chicken rice I had on the eastside. The best thing about Man Chan or Cluck2Go was their tender juicy chicken. I do like the ginger dipping sauce for the chicken, but the spicy sauce needed a bit more kick to it. I also highly recommend to get the wings as well. That is better than the fried chicken as a meal. This is good for work area meal, but I think I can travel farther distance for this dish if I am willing to be patient. *ps. 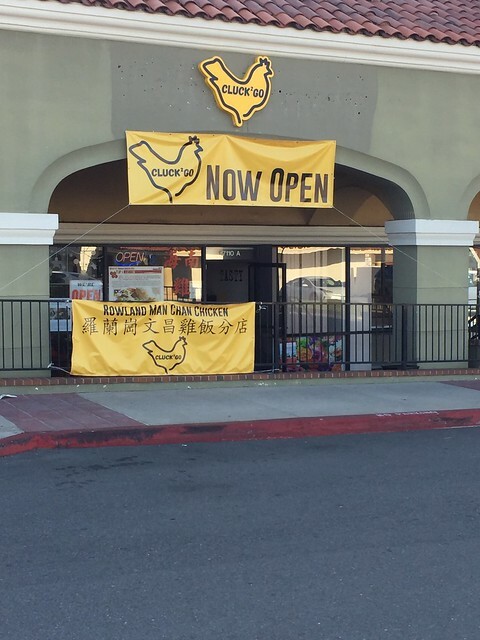 I found out that it is an expansion as there is another Cluck2Go in Pasadena. That location apparently was the first one.